Inspired by Calabria, handcrafted in NYC. We embrace tradition, but we're not traditional. City Saucery is inspired by the age-old tradition of preserving fresh and natural ingredients for all families to enjoy year round. is a delicious combination of tomatoes and spicy Calabrian peppers. A savory condiment that will add heat, flavor and umami to any dish. 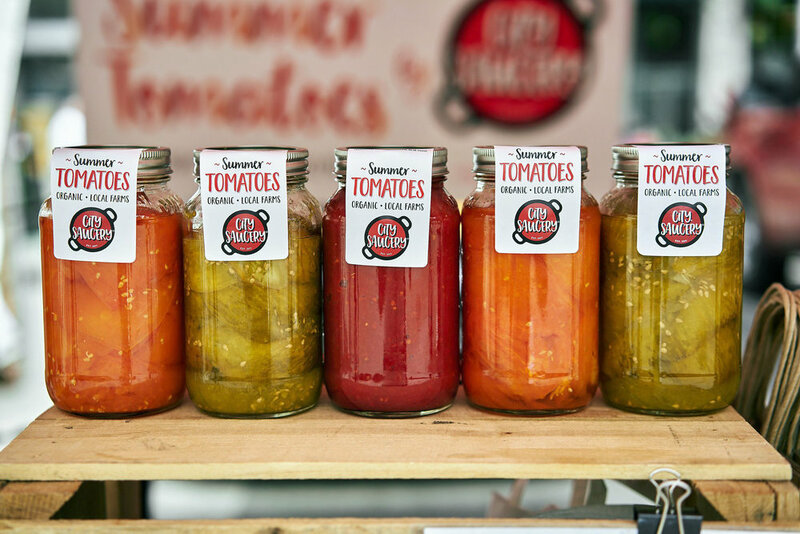 Preserved sweet summer tomatoes sourced regionally from organic New York, New Jersey and Pennsylvania farms. Bruised, overly ripe or oddly shaped, “ugly” tomatoes usually go to waste in the USA. So we take them directly from the farmers’ hands and cook them down for hours into a sweet, delicious red magic that has become our signature Ugly ‘but tasty’ Sauce. Michael, Nonna and Jorge in Brooklyn, NY. 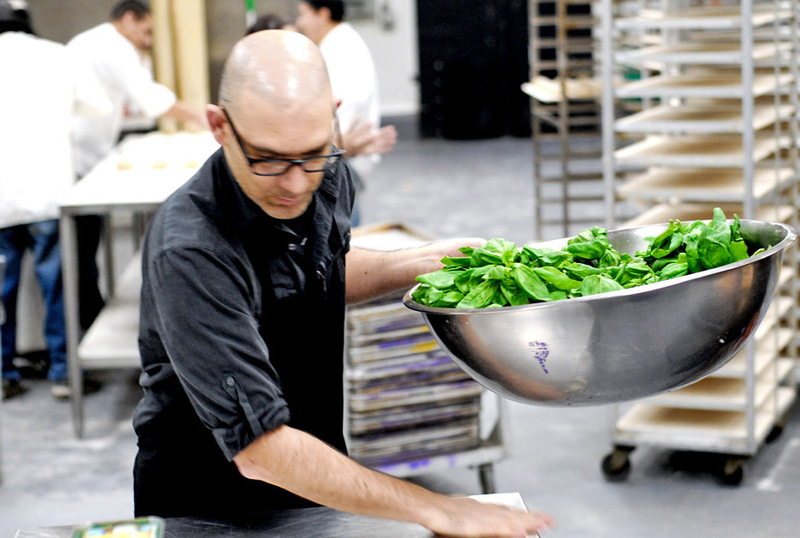 City Saucery is a food manufacturing company born and raised in Brooklyn, NY. We are a modern family business inspired by the Italian matriarch: Nonna (means "grandmother" in Italian). 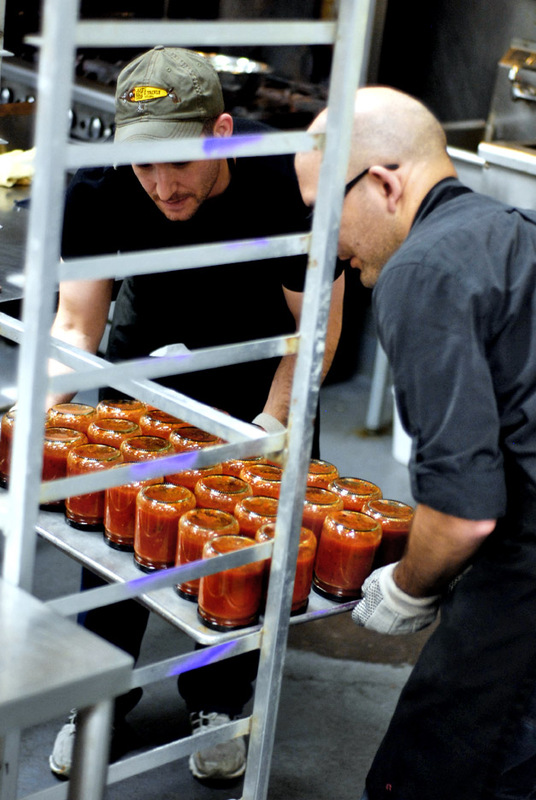 Our mission is to create unique and healthy delicious sauces and condiments of the highest quality using techniques true to the Slow Food way of cooking. We actively contribute to our local and regional food system by sourcing from responsible farms and jarring sustainable, wholesome ingredients - without any additives, GMOs, flavorings or preservatives typically found in today's grocery products and are committed to handcrafting only real food, just like Nonna has always done in her home kitchen. We are an ingredient-focused company handcrafting homemade flavors for today's savvy grocery shopper who is concerned about where their food comes from. Picked at their peak and packed each harvest season, fresh vine-ripened tomatoes are sweet, nutritious, support our local farmers and promote sustainability. We only use whole fresh herbs in our sauces to impart a cleaner and fresher flavor than dried herbs, which have lost some of their essential oils during the drying process. Our partnership with local grower Gotham Greens guarantees fresh, clean and sustainable basil in our sauces year-round. We source directly from a network of small independent farms that span from upstate New York to Pennsylvania and southern New Jersey, all within 300 miles of our kitchen. EVOO is not only the best choice when it comes to adding flavor and texture to our sauces, but its extensive list of health benefits is legendary. Jorge was born and raised in Caracas, Venezuela and came to NYC over ten years ago to further his career as an Art Director. Meeting Michael on his journey led him to something completely unexpected when he joined the family on a typical Sunday and fell in love with the feast Nonna Carolina had cooked up for the entire family. Gathering around a cozy dinner table while tasting authentic and healthy Calabrese dishes would change him forever. He may have left the grueling ad world behind but he's also discovered his true passion with helping redesign a better American food system. Nonna Carolina was born and raised in Calabria, Italy (the southernmost and spiciest region) and learned to cook from her own nonna. She came to Brooklyn, NY in the 1970s, bringing with her age-old traditions and recipes handed down over generations from the women in her own family. Nowadays, after having cooked professionally in NYC, she still believes and continues with the casalinga-style of cooking: "the only way I will cook!" This native Calabrisella is not only the Sauce Boss at City Saucery, but she's also one of the co-founders contributing in helping redefine how America eats at home. Michael (proud son of Nonna Carolina) was born and raised in Brooklyn, NY enjoying his parents' fresh and healthy cooking. Vegetables and fresh herbs were grown in their own home garden and were brought to the dinner table for the whole family to enjoy. Michael spent his summers in Calabria, Italy observing and learning the traditional ways of preserving home grown organic ingredients and enjoying the unique (and spicy) regional cuisine of his family's home. Growing up in Brooklyn, and raised by Italian parents, influenced Michael's appreciation for real food greatly. The diversity of cuisines in NYC and fresh home cooked and clean meals inspired him to venture into recreating foods he knows well. Together this modern family business set out to jar that same fresh, locally-sourced, home-cooked taste that only Nonna can create in her kitchen and share it with the world.